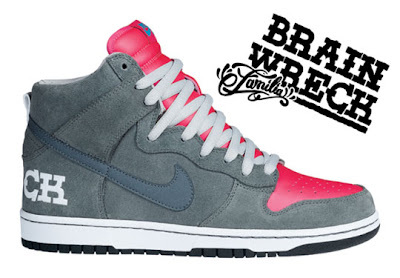 The neon pink on the all grey gives off a really cool look in this October 2009 Nike SB Quickstrike. The sneak will soon be released exclusively at Familia skateshop in Minneapolis, Minnesota on October 9th. Something that adds to the unique and yet subtle sneaker is the brain etchings on the inside of the heel. 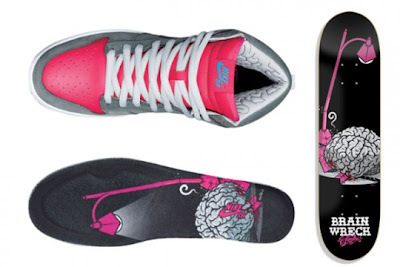 The release also comes alongside the release of some matching accessories such as the skate deck pictured above. Be sure to get there early if you were hoping to grab a pair because they will go fast.